Host was friendly and very accommodating. It was super close to transit. Kitchen facilities were wonderful. The location was perfect for visiting my family and since it was close to the Leyton Station it was very easy to get to my next destination. The host was very nice and welcomed me warmly. The room was comfortable quiet and private. I absolutely loved it! I would highly recommend it to any one who has an interest in making their own meals however there were many restaurant options very close by. 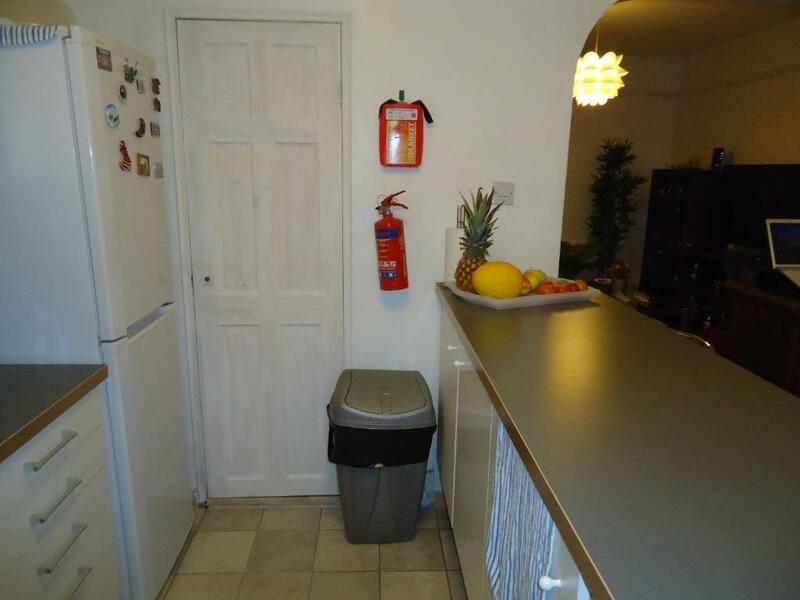 Great location Excellent facilities very clean and comfortable. Short walk to Leyton underground station. Good street parking outside. 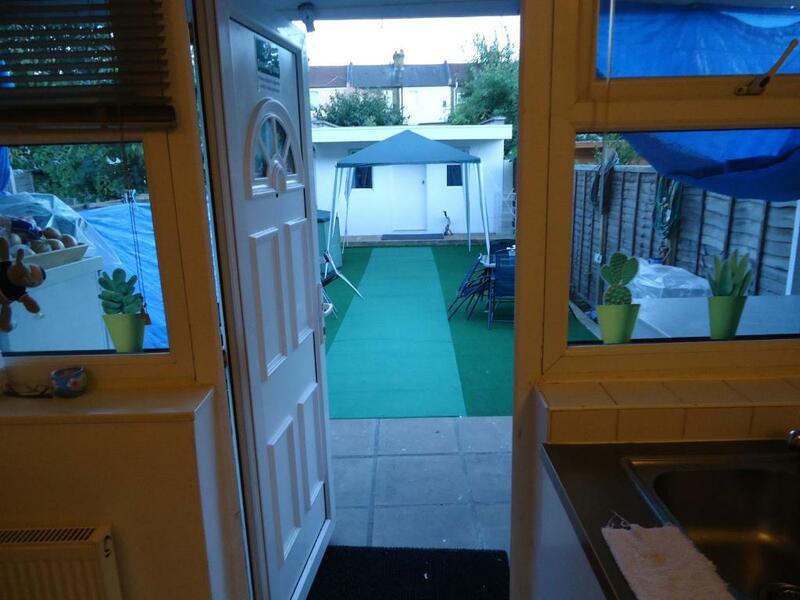 Good location, spacious common sitting area, kitchen and toilet ! There was a small fridge in the room which was useful. The beds were comfortable to sleep in - despite my comments below about the actual bedding. There was a safe deposit box in the wardrobe - always useful. The communal kitchen was very well equipped with plenty of pots and crockery etc for making ones own food; also there are tables to eat at and a settee if one wants to sit there. The bathroom - although external to the bedroom - was well equipped and the water was generally hot. There is parking on the street outside and costs £2 per hour from about 8.30am to 6.30pm, Monday to Friday - Sat & Sunday it's free....one needs a ticket which Idalina sold to us to cover the few hours before it was free. Nice host lady. Very good WiFi. Close to underground. Bed was fine and kitchen had all the appliances and utensils to cook. Host was very friendly and welcoming. One of our best sellers in London! Leslie Road Accommodation has family rooms in Leyton, east London, just a 7-minute walk from the London Underground (subway) with direct services to the city. The house has a garden, shared lounge and free Wi-Fi. 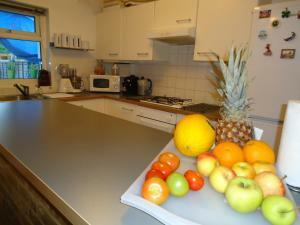 The room has 2 double beds, TV and fridge and use of a private bathroom. The shared facilities in the house include a kitchen with an oven, a microwave, dining area and tea and coffee facilities, and large grounds with barbecue and outdoor seating. Stratford’s Westfield Shopping Center is around 1.5 miles from the house, with bus routes running close by, and it’s a 10-minute drive to the Olympic Park. 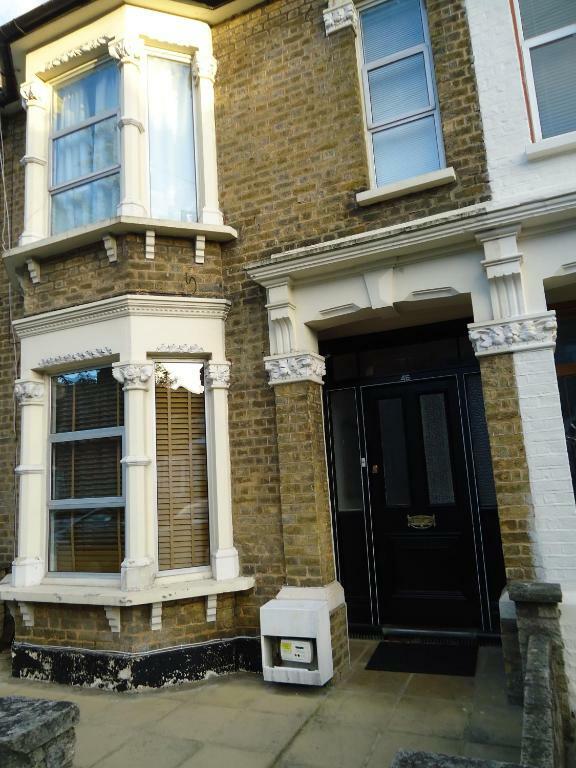 Leyton High Road has a variety of shops and restaurants and is just a 3-minute walk away. Leyton is on the London Underground (subway) Central Line with a direct route to the center of the capital. A ride to Oxford Circus takes around 22 minutes. 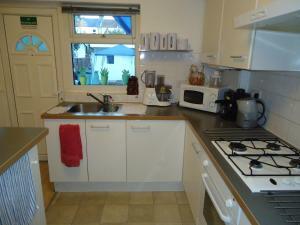 When would you like to stay at Leslie Road Accommodation? 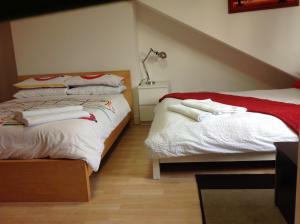 This room has 2 double beds and use of a private bathroom. Public parking is available at a location nearby (reservation is needed) and costs GBP 15 per day. This suite features a microwave, electric kettle and kitchenware. This suite has a electric kettle, kitchenware and microwave. My name is Celi and I manage this guest house for at least 4 years. I'm Brazilian and very friendly. I had families all over the world staying at Leslie Road Accommodation, and I simply love the fact of meeting new people and interacting with them, especially with children. 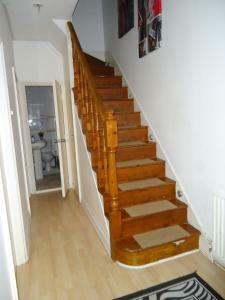 Everyone is welcome in my house and I promise that you will feel like you are in your own home when visiting London. I will be around to help you whenever it`s needed. Looking forward to seeing you soon. 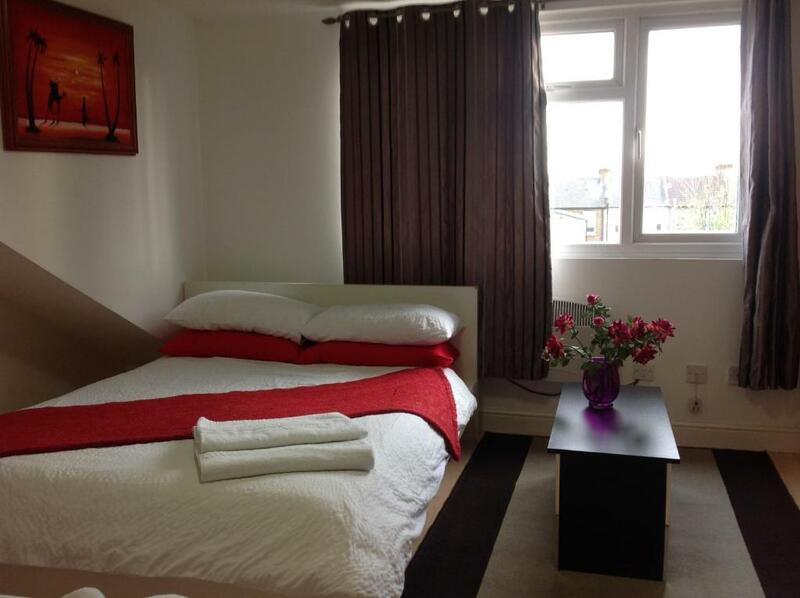 Leslie Road Accommodation is near Westfield - Stratford City Shopping Mall, Queen Elizabeth Olympic Park. We are just 4 min away from Leyton Underground Station (Central Line). And 5 min by walk from ASDA supermarket. House Rules Leslie Road Accommodation takes special requests – add in the next step! Debit card Leslie Road Accommodation accepts these cards and reserves the right to temporarily hold an amount prior to arrival. Leslie Road Accommodation accepts these cards and reserves the right to temporarily hold an amount prior to arrival. Please inform Leslie Road Accommodation of your expected arrival time in advance. You can use the Special Requests box when booking, or contact the property directly using the contact details in your confirmation. Nothing. I like everything about my experience. Somebody staying there did own a dog which may be an issue for some, my mother was a little scared of it, but it was quite friendly and playful. room size is a bit too small for 3 persons. Bathroom outside the room. Small room crammed with two double beds leaving no space to move around. Could not open the window, it was locked and the key wasn't in the room. We were told to call several hours before arriving which I did and the call went to messaging; I called about 20 mins before we arrived and the same happened again?? When we arrived there was a very nice lady, Idalina doing the cleaning and she helped us with booking in, and told me the lady who owns the house who I had called was in Brazil - so not here to take calls as instructed on the booking form? When we arrived it was quite cold and there was no heating on in the house till about 4.30pm. The same the next day as the heating is switched on by a long term resident when he gets back from work - so no heating through the day.... not good enough in this rather cold weather! But then the heating is on through the night when one doesn't want heating in a room. Our room was the front room of what would have been a mid terrace house; we had to keep the curtains closed the whole time as there were no net curtains and anyone could see in our room walking by on the street - so were had to use the lights through the day with no natural light? The wall under the big bay window needed redecorating as the paint was pealing off and looked quite scruffy. The bedding was of poor quality - in my opinion - certainly not as good than when I have when I stay at the Premier Inn or Travelodge hotels; the duvet looked like it had been cut off a large length of insulating material, and the duvet cover of poor quality. The water in the shower, although generally hot, radiated to cool every few mins - so something must be wrong with the hot water supply? The private external bathroom for our use only didn't have a key so anyone could use it if they wanted as it was off the entry hall of the house. Room was very hot on first night but that was because of the extreme weather we were having. 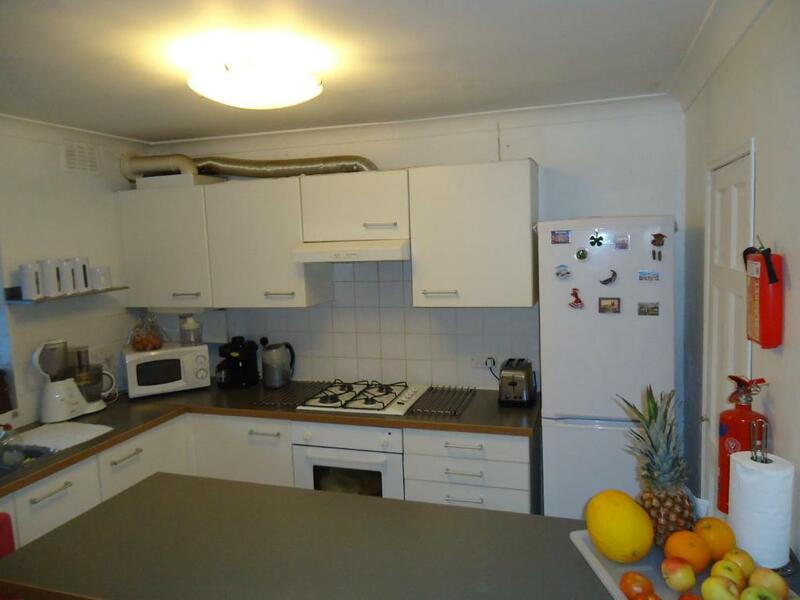 Location - very close to underground station and access to central London. Enjoyed having access to a kitchen and being able to sit in the garden. External private bathroom was being used by the upstairs guests when were there. There is no keys to lock the bathroom, so we could not leave our shower stuff there.